Author: Arlen, Michael Set In . . . 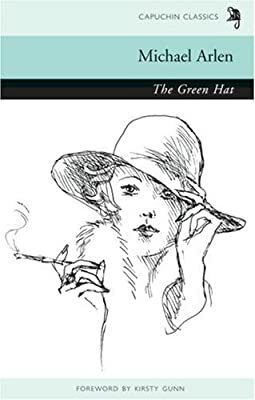 The Green Hat perfectly reflects the atmosphere of the 1920s—the post-war fashion for verbal smartness, youthful cynicism, and the spirit of rebellion of the "bright young things" of Mayfair. Iris Storm, femme fatale, races around London and Europe in her yellow Hispano-Suiza surrounded by romantic intrigue, but beneath the glamour she is destined to be a tragic heroine. A perfect synecdoche, in fact: as the hat is to the woman, so the words of the title are to an entire literary style. The success of the novel when it was first published in 1924 let to its adaptation for the screen, with Greta Garbo starring as Iris Storm.